Choose from either the white Cockatoo or the Blue/Green Parrot. Both perch upon their stand. 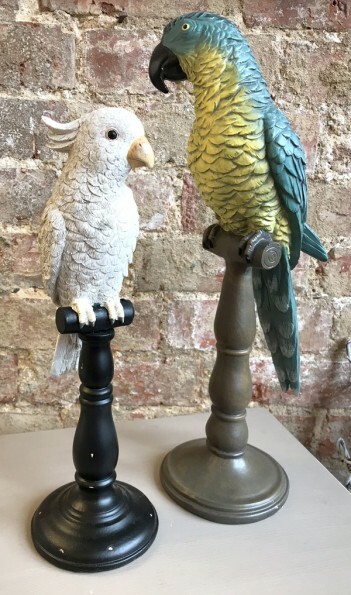 Polyresin birds the Parrot measures 17 × 13 × 42cm, the Cockatoo measures 12 × 11 × 34cm.